Tamron currently has a lens rebate on their lenses. 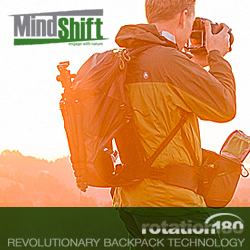 It applies to selected Canon, Nikon, Pentax and Sony lenses. You must purchase the lens between September 1, 2011-December 31, 2011. Click here for Rebate form (PDF). Please be sure to check out their dealer locator for authorized dealers such as Amazon, Adorama and B&H Photo as rebates will not be honored for lenses purchased from a non-authorized dealer. 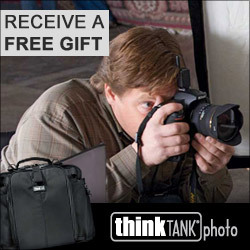 Purchase specified Tamron product by December 31, 2011. Cut-out the serial number from the top of the lens box (photocopies will not be accepted) and return with the completed rebate form and a copy of your dated sales receipt for qualifying purchase to: Tamron USA, Inc., Dept. J-3, 258 W. Old Country Rd., Hicksville, NY 11801. Must be post-marked by 1/15/2012. Tamron will issue rebate check within 6-8 weeks. Rebates must be filled by Tamron, not by any dealer. Tamron reserves the right to end, suspend or change this rebate promotion at its discretion without notice. Be sure that you intend to keep the product before sending in for your rebate. Tamron lens purchase must be made between September 1, 2011 and December 31, 2011 to qualify for rebate(s) in this promo. Redemption requests must be post-marked by January 15, 2012 to qualify. Tamron requires that all requested items (cut-out serial number from top of box, completed Rebate Form and Sales Receipt Copy) be enclosed in order to process rebate. If any item is missing, your rebate request will be delayed and/or denied. Offer does not apply to used equipment, new merchandise only. Equipment must be an Official Tamron USA product with 6-year limited warranty (grey market products do not qualify for rebates). Purchase must be made from an authorized Tamron U.S. dealer. 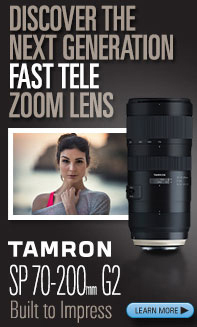 See www.tamron-usa.com or call 631-858-8400 for a list of Tamron USA dealers. Purchases made on eBay and TV Shopping networks and grey market merchandise do not qualify for rebates. This offer is valid only for purchases made within the U.S. Not applicable outside U.S. (Mexico and Canada are not applicable). No shipment will be made nor mail sent outside the U.S.
Tamron USA, Inc. is not responsible for rebate redemption requests not received as a result of delay, loss or damage by the U.S. Postal Service or any other courier service. Purchaser is responsible for any/all tax liabilities. These rebate redemption guidelines are provided to deter possible fraudulent activity. This rebate may not be combined with any other rebate or promotion.